Recalling the movie Other People’s Money . as I was more curious to know about the heated debate in US whether Private Equity to be termed 813530as Hero or Villan. 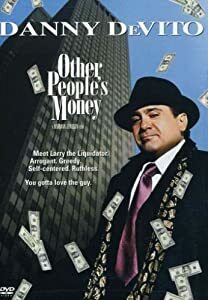 Those of you who has seen the Wall street series and remember Gordon Gekko,a character resembling popular culture for unrestrained greed (with the signature line, “Greed, for lack of a better word, is good”), often in fields outside corporate finance. Private equity generally make investments in the operating companies through a variety of loosely affiliate investment strategies leveraged buyout, venture capital and growth capital.Typically, a private equity firm will raise pools of capital, or private equity funds that supply the equity contributions for these transactions. They have been always in news as people see them as , private equity and job destruction aren’t the source of our employment woes. Rather, it is the clampdown on innovation. Some of the research claims that Private equity ownership resulted in both more rapid job destruction and faster job creation than other forms of ownership. Other research claims that wages do not rise as quickly at private equity owned firms probably because buy out firms try to control costs after the takeover. The mandate of PE is to produce higher risk adjusted returns and this is where PE firms should be judged more harshly. Another question that strikes the mind how the PE firms calculate their returns..
IRR Internal rate of return was one of the measure but the Paper by Peter Morris, “Private Equity, Public Loss?”. * concluded that its is very rare to calculate IRR in the same way.IRR can also overstate the actual returns. * Unfortunately I have the hard copy will try to post the soft copy of the paper.